The Share & Shape concept was born out of our wish to share with the younger generation of students our core values, behaviours, and guidelines. These were meant to ease the students’ learning process, as well as their professional and personal development. With this idea in mind, we organized the first edition of the Share & Shape Summer School in 2016. It was after the incredible experience of the Summer School though, that the notion of Share and Shape developed into a more encompassing concept. 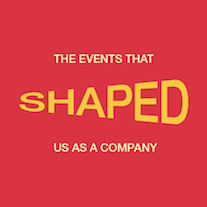 We realized then that every interaction we have, with the market, with our colleagues, or with our clients, individually or as a team, means a step forward, and a permanent process of learning – professionally and personally. Our entire activity draws upon this philosophy that allowed us to realize our role as an organization: to encourage change, ongoing learning, and continually support a positive interaction with the environment we work and live in.